A dual Kirkus Best Fiction and Best Debut Fiction selection, this stunning novel is an emotional fable about love, forgiveness, and what most makes us human. At the outset of this extraordinary first novel, eight-year-old Jess finds herself in heaven reviewing her short life. She is guided in this by a being she calls the Assembler of Parts, and her task seems to be to grasp her life’s meaning. From the moment of her birth, it was obvious that Jess is unlike other children, for she suffers from a syndrome of birth defects that leaves her flawed. But by her very imperfections, she has a unique ability to draw love fromand healthose around her, from the parents who come together over her to the grandmother whose guilt she assuages, to the family friend she helps reconcile with an angry past. Yet, it is only when she comes to her sudden deathfor which her parents are suspected of neglect, unleashing a chain of events beyond her healingthat her sense of her life truly begin to crystallize. And only then does the Assembler’s purpose become clear. With prose that is rich in emotion and eloquence and that distills poetry from the language of medicine and the words for ordinary things, Raoul Wientzen has delivered a novel of rare beauty that speaks to subjects as profound as faith, what makes us human, and the value of a life. 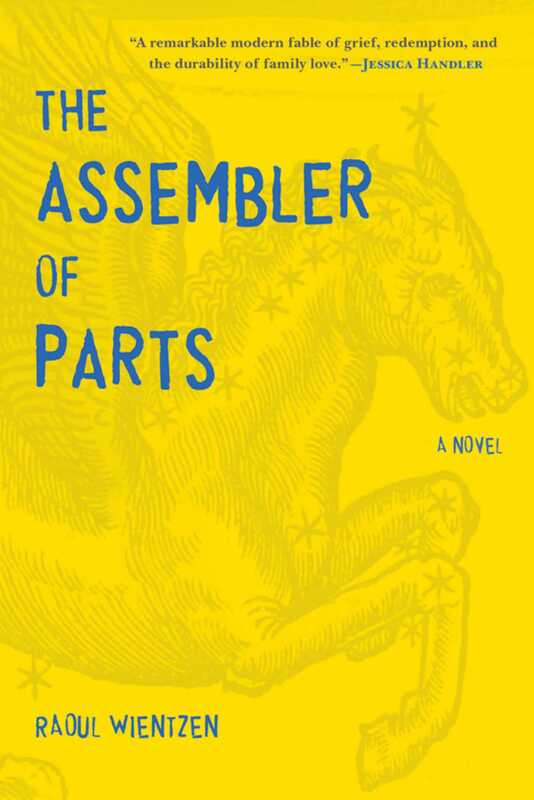 "The Assembler of Parts is a remarkable modern fable of grief, redemption, and the durability of family love. With humor, insight, and a touch of the bizarre, the narrator makes us think about the ways we are loved despite our imperfections, and the spark of the divine that makes us human. Raoul Wientzen is a heavenly writer."